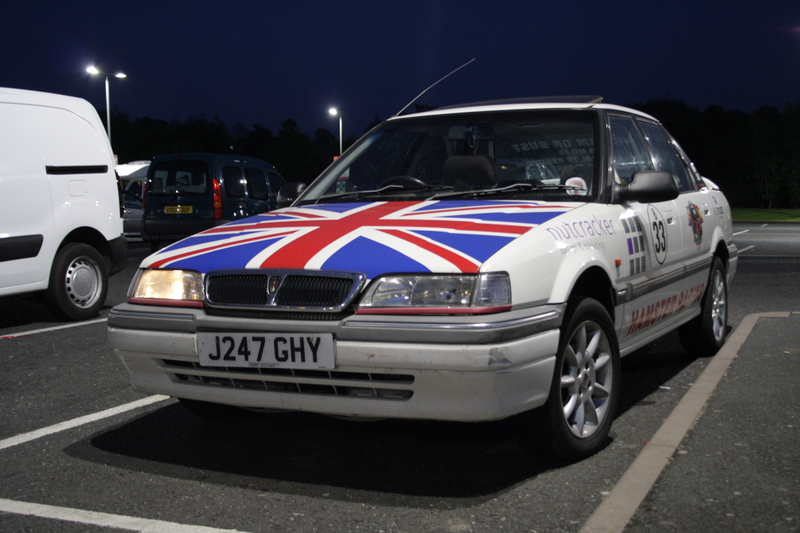 Project Rover 400 – Page 2 – HubNut – celebrating the average! I’d hoped to have started work on one of my videos by now, but I had a sticky problem. 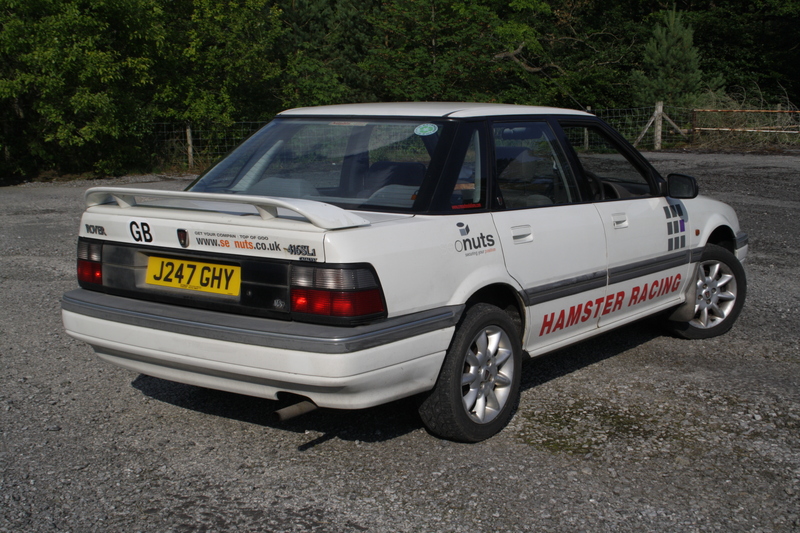 As you’ll recall from yesterday’s Blog, the Rover came covered in stickers. Most were removed yesterday, but some nasty residue was left. Being keen as ever to avoid spending money, I raided various cupboards for various potions. WD40 can sometimes be good, but not this time. White Spirit was similarly hopeless. Brake and Clutch cleaner was very, very good, for a few seconds. Then you were left with an even bigger sticky mess than you started with. I even resorted to petrol, which did remove the residue, but turned it into very sticky, petrol-stinking globules. Even then, I was still having to use a credit card (not an actual credit card obviously as I hate them) to scrape the sticky gunk off. Ugh. Horrible! Eventually, I dug out my bottle of Turtle Wax Bug and Tar Remover. It doesn’t spray particularly well, but it doesn’t evaporate either. I gave areas a good soak, then rubbed very lightly with a cloth and left for another minute or two. Then it was out with the non-credit card again for yet more scraping. Bloomin’ hard work, but the gunk I was scraping off was at least not sticky with this treatment. The end result is a car that now looks really good from only a few feet away rather than at least 30 feet. Yes, I’ve left the blocky door graphics and Hamster Racing stickers for now. I quite like them. It has been very fulfilling to see the car emerge from its stickered state. I’m up to about 160 miles in it now and I’m really enjoying it. With the 108bhp Honda D16 engine under the bonnet – a single-cam but 16-valve unit – it has more than enough power. Not that it’s a rev-heavy monster – it really isn’t. I love the generous spread of torque it possesses. Most unusual for a multi-valve engine, but perhaps due to the unusually long-stroke – 90mm compared to a 75mm bore. That’s unusual at a time when ‘square’ engines (where bore and stroke are very similar) were the rage. For instance, the K-Series has a 79mm bore to 75mm stroke – great for power, but not so good for low down grunt. Boring stats aside though, the engine suits the car very well. It doesn’t feel like a car to fling into corners with abandon in the same way that it doesn’t feel like it wants you to utterly thrash it. That said, it is very composed when cornering, it’s just that the numb steering doesn’t really encourage you to go for it. It almost has that classic Mercedes-Benz feel of making you just want to relax. What’s the rush? You don’t get stressed by gearchanges either, as the shift is delightful and rarely needed. It’ll slog its way up hills with no downchange needed. Wonderful. There is still that Check Engine light, but reading the blinking light on the ECU tells me it needs a new Lambda sensor. Shouldn’t be too expensive if I can get the old one out of the exhaust manifold… At least it’s nothing serious. Having said goodbye to the Maestro van and it’s happy new owners, I now had to do that public transport thing. A browse on my phone told me I needed two changes. I bought tickets – £2.30 well spent – then went and asked at the ticket office which route I’d actually be taking! The lady told me, then said my train to Birmingham New Street was about to depart. I said thanks and ran to the platform, forgetting the route as I went. I quite like a bit of rail travel, and I do mean a bit. There’s something very interesting about the comings and goings – all those human stories going on all around you. However, I’d committed. I wasn’t going to catch a 3-hour train home, I was going to catch 3 trains and buy a car! At New Street, a very helpful guard from London Midland told me not only where to get off the train, but also how to find the next one. It was at some Smethwick station I’d never heard of and it seemed to have several levels. There, I caught a train that looked like it had steamed straight out of the eastern bloc. No destination board, no helpful signs on board, though the seats were fabulous. I settled back and eagerly awaited an announcement to tell me I was on the correct train to Stourbridge and not heading off to Siberia. Thankfully, it came. 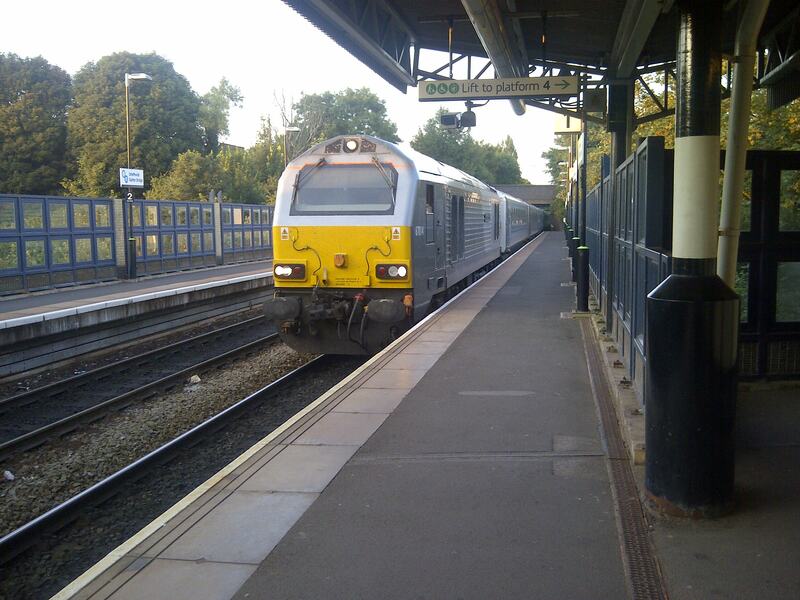 Some time passed, and I eventually arrived at Stourbridge Junction. Here I was collected by the owners of my new motor vehicle. After a spot of sight-seeing (they were checking out an MGF they’d spotted for sale) we arrived. A rudimentary check was carried out, paperwork signed and the Maestro van balance was handed over. Just £300 and I had a newer car with tax and test and a collection of stickers that needed removing. It was an unusual experience. I’d not driven a Rover R8 (these 200/400 models) since my Dad owned a 414Si many moons ago. I seem to recall that after a session on a private test track, I discovered that the steering was horribly light at naughty speeds. Sorry Dad. Some things never change. I found myself on the M5 before long, and the steering was rather too light at speed. There is a shimmy at the wheel too, so I’ll get the wheel balancing checked. The clutch isn’t ideal. It has a long travel but is also very light with little feel. I remember feeling much the same about a later Rover 414 ‘bubble’ we owned a few years back. It ate up the motorway miles with little drama though, demonstrating an excellent main beam but letting the side down with a somewhat jiggly ride. Perhaps the alloy wheels and 55-profile tyres are to blame. They’re not really my cup of tea (and nor is the boot spoiler, taken from a 200 hatchback). It wasn’t all plain sailing. The seller had admitted in his advert that the Check Engine light kept coming on – but as he’d driven to Benidorm and back without issue, he’d decided not to worry about it. I attempted to cover it up with some random black gunge that was dotted around the interior. After a quick stop at Telford, I decided to remove some items from the boot that were rolling around. I should have left them as I accidentally dropped the heavy bootlid (because of that spoiler perhaps) and bent the latch. 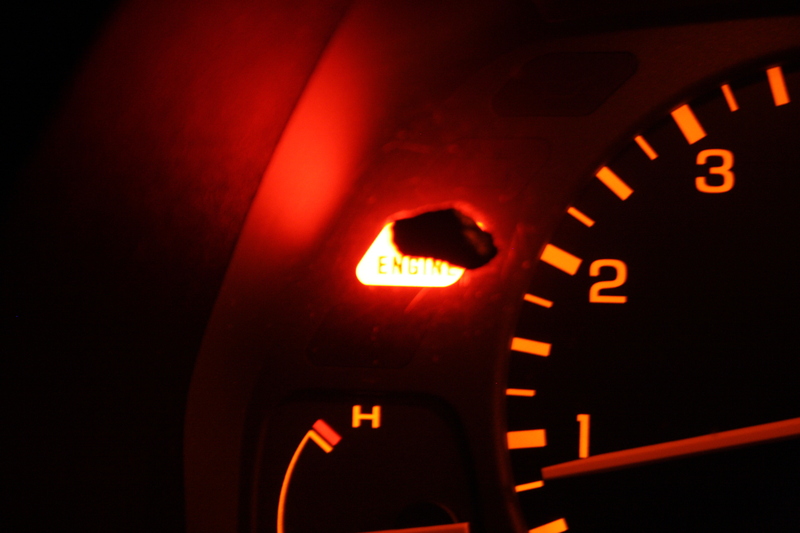 No chance of fixing it so I had to push on with another warning light displayed. Perhaps the spoiler actually does generate downforce (yeah, right) as the bootlid stayed pretty much closed all the way home. The drive home gave plenty of room for reflection. I hadn’t got the car I wanted, but I had got a nice car. 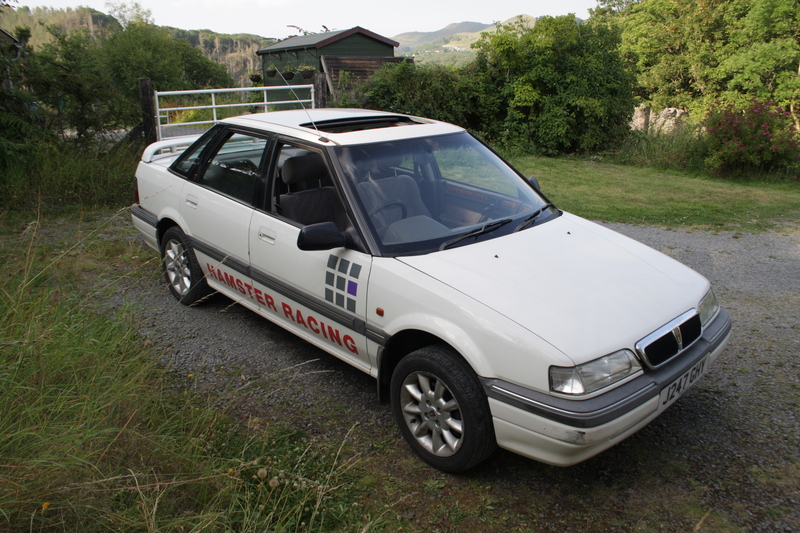 My 600 dreams will have to remain on hold for now, but I shall enjoy some Rover/Honda motoring in the meantime. Work has already started on stripping the stickers off. My fingers are very sore! Here’s how she looks now. There’s a good car starting to emerge I reckon, though I did accidentally wire brush a hole in the nearside sill! A common rot spot. Even with the wrong grille and silly stickers though, it’s a reminder that the R8 was a really good looking car. Yes, wrong lights too, not as wrong as spoiler! So, naturally any new car has a To Do list. What’s to do here? Firstly, more stickers need to come off. I’m not planning to get into Hamster Racing anytime soon, though I do like the block pattern on the front doors. In mechanical terms, I need to deal with a loose catalyst shield. 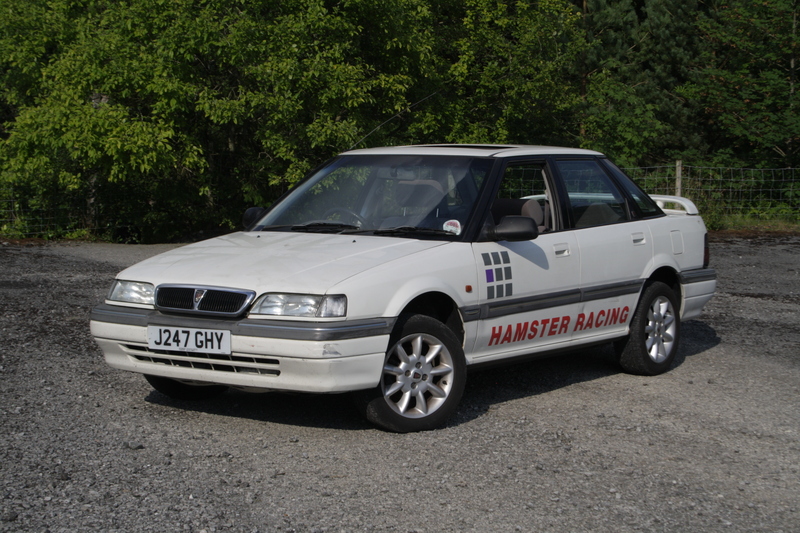 It rattles in a rather unsettling manner, removing the acres of streed cred that driving a sporty Rover provides. I’m going to have to have a good hard think about the timing belt too. I may be able to do the work myself, which would help. I aim to find out what’s wrong with the Check Engine light too. There are some simple on-board diagnostics. I’ll see how I get on with it though. I suspect it’ll stick around longer than the Maestro van did, but only because it isn’t a van. It’s so nice having visibility again!